The Spaniard appeared to be nearing breaking point as he was not sure whether he would still be manager of Newcastle United after Thursday's deadline. Rafa Benitez heads into the final two days of the transfer window with no new signings and the ability to walk away from his job without having to pay any compensation to Mike Ashley. The Spaniard did nothing to convince anyone he would stay any longer than the end of January. 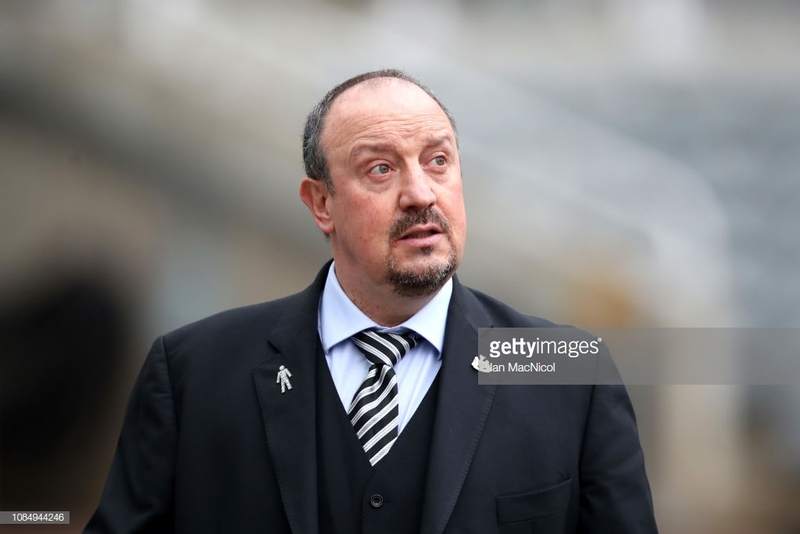 Benitez has asked for the club to do the right things off the pitch in terms of backing him in the transfer market, however, Ashley and Lee Charnley have refused to do so since they achieved promotion. Benitez has never walked away from a job and many expect him to honour his contract with the Newcastle United but many would not be surprised if he did leave after not getting the players he wanted and when he wanted them. The Spaniard feels attached to the club as he sees the potential on Tyneside but struggles to see if that potential will ever be reached under the current ownership. The 58-year-old has refused to talk about any transfer activity all month as he either has 'no idea' or it is not 'my business' to talk about any deals. No Newcastle fans are expecting Benitez to extend his contract which expires at the end of the season. However, the Spaniard has not been his usual open self during press conferences with the last two being especially tense. Speaking during his pre-match press conference before his side takes on free-scoring Manchester City he gave some worrying answers to The Chronicle and Daily Mail. "I came here and I decided to stay in the Championship because I can see the potential of the club." "I will try to do my best until the last minute." "Yes, I can [still] see the potential." "It doesn't mean you reach the potential, but I can see the potential." When asked if the Spaniard could promise he would not resign before the end of the season he replied: "No, I cannot guarantee anything." “What I have to give back to the fans is this: I am a professional, I will work hard and I will try to do my best." "[The conversation] didn’t change anything." when asked if his conversation with Ashley changed anything in terms of transfers.